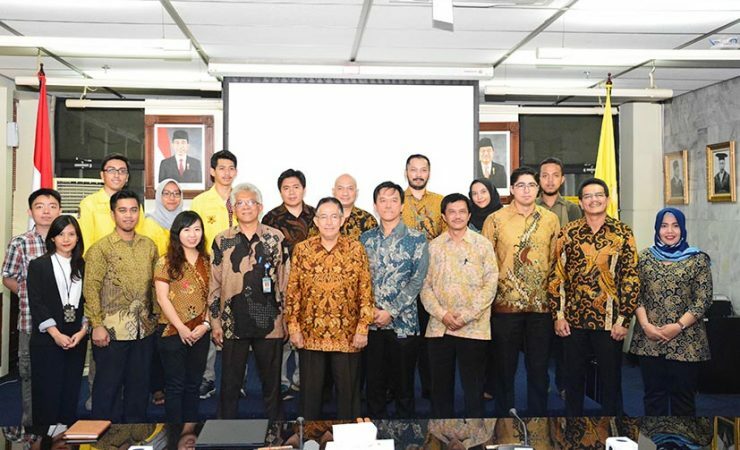 Universitas Indonesia (UI) establish cooperation with PT. Schlumberger Geophysics Nusantara (Schlumberger Indonesia) in the field of the development of scientific and practical studies on the process of exploration and production of oil and natural gas. This cooperation marked by the signing of a joint memorandum of understanding made by UI Rector Prof. Dr. Ir. Muhammad Anis, M. Met and Managing Director of Schlumberger Indonesia Ronny Hendrawan on Friday (13/4) at the Depok campus. The signing was attended by the Dean FMIPA UI Dr. rer. nat. Abdul Haris and Dean Faculty of Engineering Dr. Ir. Hendry D.S. Budiono, M. Eng. Through this cooperation, Schlumberger Indonesia will donate software that can support the activities of the lecture that especially the UI students academic study Program Geosciences (Geology & Geophysics) as well as a master’s degree in Geophysics and Geography courses from the Faculty of Mathematics and Natural Sciences as well as Courses in Chemical and Mechanical Engineering Courses from the Faculty of engineering UI. As for the software that will be used by the UI in the exercise subjects in FMIPA UI is a Petrel G&G, PetroMod Basin Modeling, Techlog Petrophysical Analysis, GeoX Propect Analysis, OFM Production Analysis, and Reservoir Simulation ( Petrel-Eclipse) – which can be accessed in the Geology and Geophysics Computing Lab of FMIPA UI Depok campus. As for the software to be utilized in the implementation of the courses in the Faculty of engineering UI is OFM Production Analysis, Reservoir Simulation (Petrel-Eclipse), Drillbench, OLGA, and PIPESIM.